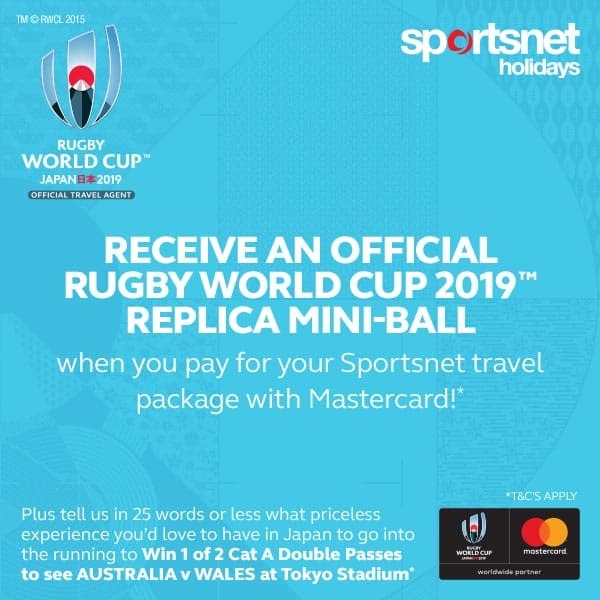 Choice of a Category D, C, B ticket or hospitality to any game of Rugby World Cup 2019 – View Stadium Seating Maps. 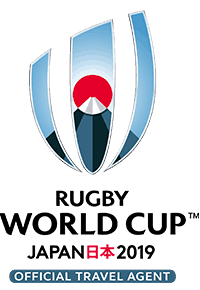 << Go back to other Rugby World Cup 2019™, Japan tours and travel packages. Please note flights cannot be removed from a Flight & Ticket only package. 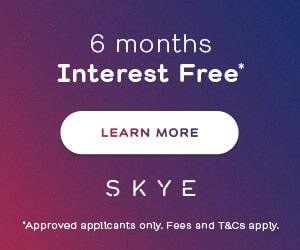 ^Compulsory pre-paid airfare taxes are subject to change until full payment has been received and airline tickets have been issued by this office. International airline tickets can only be issued a maximum of eleven months prior to departure. Australia to Japan return taxes are correct as at 19 December 2017, estimated at $310 per person. 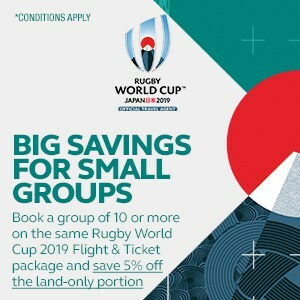 Please note the number of tickets per game can only be equal to or less than the number of flights purchased.